October 2016 – All things metaphysical. Any tarot reader will tell you that despite your best efforts to use tarot for guidance and to encourage only open-ended questions from your clients, people inevitably want to ask yes/no questions. And who can blame them, really? The truth is that we all want to know what’s going to happen. Despite our best efforts to live in the present and not to worry about the future, WE DO. I bet even Eckert Tolle (author of The Power of Now, who I adore) will occasionally lie awake some nights wondering how his next book will be received or how his next overseas tour will go. If tarot readers are being honest, even they have probably used the cards to attempt to answer a yes/no question from time to time. I know I have. In fact, learning how to answer yes/no questions was one of the first things I attempted to learn when I began to learn tarot. I wanted to know the future, damn it! In my studies I researched a ton of different ways you can answer a yes/no question, but one in particular really resonated with me. This method was developed by Susyn Blair-Hunt and is featured in Barbara Moore’s book entitled Tarot Spreads: Layouts & Techniques to Empower your Readings. To perform this spread, you will shuffle the deck while considering the question at hand. You lay the deck down, then you cut it twice to the right so that you have three piles. You then leave the three piles on the table. Starting with the pile on the left, lay down one card face-up. Then lay down a card from the middle pile, and then finally a card from the pile on the right. Lay down another card from the pile on the left and the center pile. You should have a total of five cards. 5/5 indicate “Yes” – An enthusiastic YES! 4/5 indicate “Yes” – Very probable YES. 3/5 indicate “Yes” – Probable, but not certain. 2/5 indicate “Yes” – Not likely, but possible. 1/5 indicate “Yes” – Very unlikely. 0/5 indicate “Yes” – An enthusiastic NO. One of the best things about this spread is that the cards will provide additional information on the question, and will help you determine why something may or may not occur. I decided to use one of my favorite decks, Thoth. Before you get hung up on my caption, please know that in the Thoth deck the Knights are actually Kings in the traditional sense of the tarot. Thank you, cards! Managing this land has been a juggling act, as it required that we jump through a ton of hoops to get it listed. There was also the expense of having it surveyed and paying to have it advertised. To be honest we could have handled the process in a much more expedient manner, but we were distracted by other more fun things and didn’t get the land listed for six months. We were also a bit foolish in our initial asking price and had great faith that it would just sell, and it didn’t. We recently made the decision to lower the price despite my husband’s initial feelings that it wasn’t enough, but with the 4 of Wands I’m certain we will have cause to celebrate soon. We just lowered the price this week. (If the cards are right, it should sell by the end of January). I hope that you will find this method helpful in your own readings when you have a yes/no question or if a friend or client persists in asking them. However, I encourage everyone not to put too much stock in yes/no readings. The tarot is not intended for this purpose and to reduce it only to these kinds of questions is to miss out on the wealth of hidden knowledge that it contains. When learning to read the tarot, one of the biggest questions that will plague a new reader is whether or not to read reversed cards. This decision has big implications. If you decide to trudge forward with learning reversals you have just taken on the responsibility to learn, not 78 card meanings, but 156! Even the most diligent shuffler may find that the occasional card will present itself reversed. How the reader deals with it varies a great deal from person to person. Many readers decide that reversals are too much work and that the 78 cards within the tarot deck already provide enough information for them to provide in-depth readings to their clients. These readers will often turn upright any cards that may present themselves as reversed, and carry on with their reading like nothing happened. There is NOTHING wrong with this approach, particularly if you are a new reader. Some readers will take strides to avoid reversals, but if they show up they will pay particular attention to the reversed cards, and the message of that card will be strengthened. I did this for a long time. Some will strategically reverse only three cards in a deck, and if they turn up in the reading that will mean they are extremely important (Mary K. Greer talks about this in her book The Complete Book of Tarot Reversals). Then you have those like me, who will shuffle like a madwoman and will let the cards turn anyway they please! Determining how one will interpret reversed cards is tricky. There are so many ways you can interpret them and none are wrong. I believe the way that is most resonating with me is found in Joan Bunning’s book Learning Tarot Reversals. Joan’s approach is to avoid traditional ways of thinking of reversals (opposite meaning, blocks in energy, delays) and to think of these cards as phases of energy. You can think of energy phases almost like the cycles of the moon as it moves from the New Moon (absent), waxing (growing larger), full (fully present), to waning (growing smaller). Energy can be felt in a myriad of different ways – it can be absent, just coming into our lives, strong and fully realized, and finally waning. In Joan’s method, we can think of an upright card as embodying the fully recognized energy of that card (like the full moon). In other words, an upright card represents the traditional meaning very strongly, and it encapsulates that energy perfectly in its purest form. When a card is reversed it means that the energy of that card is absent, entering our life, or waning and fading out. It is up to us to determine what phase the energy is in. We do that by considering the other cards in the spread and the situation as a whole. Last week, the Tower made an unfortunate appearance in my life, and it left me bruised and battered. As I laid down my Celtic Cross today, wouldn’t you know, the Tower appeared reversed in the near future position? This is because the energy of the Tower will be waning from my life very soon. I am very much looking forward to this. Experiment with this method and see if you don’t find reversals a little less threatening. If you are intrigued, I encourage you to pick up Joan’s book from Amazon. Published in 2003, it is still relevant and very well-written. I have greatly enjoyed incorporating Joan Bunning’s perspective in my readings as I struggle with those reversed cards. As much as a pain as they can be (no one likes uncovering a spread that is filled with reversals! ), I adore the extra information they bring to the table. Let the cards fall as they will! Seriously… Tarot can’t really tell me anything about my life – can it? Many people want to get a tarot reading, but don’t because they are afraid they will be disappointed. It’s normal for people to have doubts about whether a tarot reading can really reveal things about their life if they have never received a reading before. Skepticism is alive and well in today’s society. This is especially true for matters of faith and other things beyond the lens of science. I began my journey with tarot many years ago when I received my first tarot card reading at seventeen years of age. I was at a crossroads in my young adult life. I had just found out I was about four weeks pregnant. Confused and frightened, I turned to my friend’s mother that I adored who had keen intuitive abilities and many years of experience with reading tarot cards. I watched, fascinated, as she unfolded a beautiful piece of crimson silk and took from it her trusted tarot deck. On the kitchen countertop she laid the cards out in a cross and studied the cards with her piercing blue eyes. A moment passed and she began to speak. I sat, stunned, as everything she said aligned perfectly to my current situation. What card was in the current situation? You guess it… The Empress. Tears came to my eyes as she spoke about the recent challenges I had experienced. I had big choices to make in the coming weeks about what I was going to do about this pregnancy. She said my life was about to change in a very big way – and for the better. It looked as though I may even get married. This I would never have guessed, because at this point my child’s father was most certainly not ready to be a father and did not want me to have the baby. She assured me that if I continued on my current path, and trusted in my baby’s father, I would be glad I did. Things were looking up for my future. I left her house that days feeling relieved and my burden was lightened knowing that maybe, just maybe, everything was going to be okay. Two months later I married my high school sweetheart, and a few months later I gave birth to a beautiful, healthy little girl. This year my husband and I celebrated our 18th wedding anniversary, and that baby is turning 18 in a few weeks. After that first reading, I was given my first Rider Waite tarot deck on my 18th birthday. I have been a student of the tarot ever since. That first reading forever changed the way I viewed the tarot cards, but I was most certainly a skeptic before then. There is no shame in skepticism. Why shouldn’t we question everything in life and decide for ourselves? As a child we blindly follow the beliefs of our parents, and later that of our peers. The major arcana series in the tarot captures the experience of growing from a child into an adolescent. The Lovers best represents this turning point in our lives. In adolescence we begin to question, rebel, and make choices for ourselves. The choices we make will then power us forward on our path (via the Chariot). The Lovers – the card of adolescence. As we mature we do not need to believe things simply because we are told. Independent thinking and making our own choices about what is right is what makes this time period so interesting to be alive. Aleister Crowley (magician, founder of Thelema, and father of the Thoth tarot) believed that the 21st century marked humanity’s entry to the Aeon of Horus, a new era in which humanity would take increasing control of their destiny. This exciting time comes on the heels of the Aeon of Osiris, in which religions like Christianity, Islam, and Buddhism dominate the world. As a species (mankind), we are growing up! We live in an age where humanity as a whole is maturing out of a childlike state to that of a rebellious teenager – questioning everything and deciding for ourselves. The spirit of Horus is the spirit of rebellion as society’s artists, poets, musicians, writers, and activists actively push for social reform and justice. It shakes traditional paradigms and brings radical change to individuals and countries, as well as dramatic changes to religious ideals and beliefs. This new age is evident in church attendance rates that have been in steady decline for the past 20 years, with people shifting from weekly to monthly or just holiday attendance. Sociologists have attributed this trend to a number of reasons, from boredom during services and lack of motivation, to generational incompatibility of belief systems and social changes attributed to modern life. Skepticism isn’t a new concept. One of the most famous skeptics in history dates back to Bible times – the Apostle Thomas. Thomas refused to believe that the resurrected Jesus had appeared to the ten other apostles until he could see and feel the wounds received by Jesus on the cross for himself. We use the term “doubting Thomas” to refer to a skeptic who refuses to believe without direct personal experience. Thomas simply could not believe until he saw it for himself. I use the example of Thomas to introduce what I jokingly and lovingly refer to as a “Doubting Thomas Reading.” Now, I’m not claiming in any way to be Jesus or even be like him (though I aspire to – Jesus was pretty awesome and a total social justice pioneer in his day). I simply want to give any doubting skeptics the opportunity to experience a tarot reading for themselves and draw their own conclusions. The “Doubting Thomas Reading” is a concise, 20 minute reading on a question of your choosing for only $20. Within 24 hours of the conclusion of the reading, if you are unhappy with the reading and feel that it did not address your question or concern, I will refund your money, no questions asked. All I ask is that you have a well-formulated question or issue on which you would like insight and be open to the process. If you clam up and do not provide input along the way, chances are you won’t get the full benefit of the reading. A reading is a conversation between reader and querent who work together to get the most concise interpretation out of the cards as they present themselves. 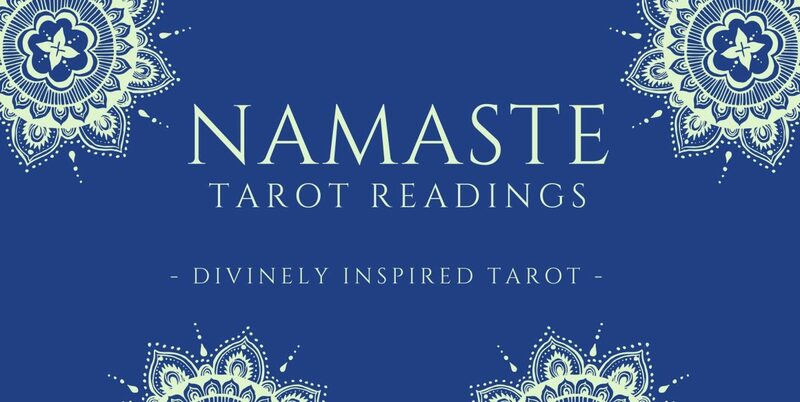 Readings can be conducted in person, on the phone (U.S. only), through email, Facebook Messenger (live), or Skype. With an email reading, you may reply back with three additional clarifying questions on the reading which I will then address. Readings will be completed within 48 hours of sending payment. Sometimes you must experience things to believe them. I invite you to try it! I am confident that you will not be disappointed. Do you have to be psychic to read tarot cards? Are you psychic? Everyone is a little bit psychic – even you! There are several ways in which one can be psychic. Some people are clairvoyant and ‘see’ things, like visions in their mind. Some are clairaudient and ‘hear’ things, and some get information that just pops into their head out of nowhere. These gifts are what comes to mind when we think of psychic ability in popular culture. Famous psychics like Sylvia Browne, John Edwards, or the “Long Island Medium” on television have these psychic gifts. They claim to have a direct line to spirits of people who have passed and other spirit guides, and they often provide quite a bit of evidence that seems to support their assertions. However, there are many other kinds of psychic gifts than these. Some are thought of as more ‘intuitive’ – like hunches and gut feelings. But it’s all information from spirit, coming to you in some form. And that’s what we mean when we talk about being psychic. I am clairsentient, which means I get lots of hunches and gut feelings that are usually right. I’m also an empath, which means I can place myself into the experience of another person and feel their emotions and desires. As my particular talents are intuitive in nature, I identify as an intuitive reader instead of a psychic reader. I am a highly ethical individual and would never represent myself as anything I am not. I also will not read on pregnancy or other medical-related issues. Unfortunately in this line of work there are those who are out to make a quick buck, and they will misrepresent their innate psychic abilities to appeal to more clients. Not all tarot readers are genuine and sadly, some of them are scam artists who want to rip you off. If you end up going to them for a reading, you might experience that the reading just did not work. You do not need to identify as a psychic of any kind to learn to read the tarot cards. I have spent much of my life studying the tarot because it is interesting and I am passionate about it. Above all else, I am a caring wife, mother, friend, and teacher. I have spent my life in public service committed to serving the greater good. I am dedicated to the craft of serving as a tarot card reader as a means of helping myself and others on this great adventure we call life. Plus, it forces me to remember to continually connect to the divine and express my gratitude. How do tarot readings work? How do the cards arrange themselves into a meaningful pattern? Why should some pieces of cardboard with pretty pictures on them be able to mysteriously arrange themselves into an order which tells us about our life and experiences in a detail that often exceeds what we are consciously able to observe? No one knows for sure. I can’t say exactly how the cards work, but I can assure you that they do. Several theories abound as to why this is. One is that when we shuffle a deck of tarot cards (or your reader shuffles them for you while concentrating on you and your question), the cards connect to your energy and they arrange themselves accordingly based on it. We all have energy within us. Christians call it the Holy Spirit. In Chinese medicine, it’s Chi. Yoga refers to it as Shakti. In the West, it’s commonly called Spirit. All great spiritual traditions talk about spiritual energy and the energetic body. Whatever the tradition, the energy and spirit within each of us is meant to flow as blockages result in physical and spiritual issues. Another possible explanation can be found in Karl Jung’s theory of synchronicity. Synchronicity can be defined as “the simultaneous occurrence of events that appear significantly related but have no discernible causal connection.” Jung was fascinated with the tarot and worked extensively with the I-Ching, a Chinese form of divination based on the same principles. Sometimes in life we are gifted with “meaningful coincidences.” Can you think of a time (or several times) where you were simply in the right place at the right time? By deliberately shuffling the cards we are invoking synchronicity into our lives and the cards will ‘just happen’ to arrange themselves into an order which tells us something useful about ourselves or the question we have asked. Different areas of psychic study credit the subconscious mind with an entire array of powers and abilities of which we are generally unaware. As an explanation for the tarot, it is usually supposed that in some way the subconscious mind ‘knows’ the order of the cards and through the shuffle, re-orders them so that they will lay out in an order which conveys a useful meaning to the person performing the spread, based on insights that the subconscious mind presumably already had. Lastly, let’s not rule out magic (or magick). Magic means ‘to make events occur in conformity to your will’. In this case, the will of the reader is that the cards will arrange themselves in a meaningful way, in order to reveal something useful. The magical explanation is simply that this focused intent is enough to make the cards arrange themselves in a useful way. This involves accepting as an explanation that magic is real – the Universe really does respond and change according to the will of an individual. It also suggests there is some skill required in ‘making the tarot work’ as well as simply interpreting the cards. A deck of tarot cards is believed to be particularly susceptible to this form of magical influence, because of the way the cards are read. These are all theories. We will never know for certain exactly how tarot cards work. The bottom line is…they do. This post contains excerpts from http://www.weirdshitnotbullshit.com/articles/how-does-the-tarot-work. Is tarot reading a sin? *Excerpts of this blog from Divination: Sacred Tools for Reading the Mind of God by Paul O’Brien. I was born and raised in an area of the United States known as the “Bible Belt.” If you are familiar with this geographical area, you know you can’t throw a rock without hitting a church (this is a southern way of saying they are everywhere). Furthermore, in my hometown you will only find Christian churches. If you are Jewish, Buddhist, Muslim, or belong to any other denomination, you must make the twenty mile drive to neighboring Tallahassee to worship. I worked as a public school teacher for many years in this small town and as a result I continue to live life as a public figure in many ways. After working with so many children and families, it gets to the point where you can’t go to the grocery store without being recognized. As I live in a Christian community, I was deeply afraid to “come out” as a tarot reader because most people whose faith depends on biblical scripture believe that divination is a sin. That being said, it terrified me that once people knew I worked with the tarot they might whisper about my evil antics or, worse, it could even hurt my chances for future employment with the school system. After devoting over 12 years of my life to the field of education this was quite frightening. I am a baptized Christian and I do not believe that tarot and other forms of divination is a sin against God. Why? The most commonly quoted verse in the Bible that is used to assert that divination is a sin against God’s will is Deuteronomy 18:10-12. The book of Deuteronomy contains countless laws that were themselves abominable and are no longer respected or practiced by anyone. For instance, “At the end of every seven years you shall grant a release of debts.” (Deuteronomy 15:1) There would be countless people in a much better financial position if this were enforced – myself included. Women might be interested to know that they are “an abomination to the Lord” if they wear men’s clothes (Deuteronomy 22:5), so forget about pants in the winter. Also according to this law, any bride who is not a virgin on her wedding night shall be stoned to death on her father’s porch (Deuteronomy 22:21). Sounds like Sharia law to me! Over the centuries, churches, temples and mosques have narrowly selected which parts of their scriptures to heed, and which to ignore. But in this modern age we are free to look at ancient scriptures with fresh eyes. In so doing, we need to remember that the true value of scriptures does not lie in lists of ancient laws and “shalt-nots,” but in parables of virtue and timeless principles that are relevant to the cultivation of wisdom. If religious organizations have been hostile to divination, it is because they are not interested in cultivating the types of mystical experiences that inspired them in the first place. It’s also important to remember that “communicating with divinity” is what the word “divination” means, and what divination systems (tarot, I-Ching, etc.) are created to facilitate. The prophets are psychic mediums who received wisdom in the form of voices and visions from a higher power, which they then conveyed to others, sometimes to make a decision or offer advice. The God of the Old Testament gave prophets knowledge of the future to warn people and persuade them to abide by God’s will. As it is recorded, the prophets who predict the future generally do so when a warning is necessary, but it is reasonable to assume that they do it at other times too. The prophets were watchmen, guardians of the people, who looked out for the nation because they could foresee dangers coming. Prophets were also known to interpret events that were happening in the present and provided insights into God’s reasons for creating the conditions in question. Diviners and prophets were classed as being similar roles. In Isaiah 3:2-3 diviners are ranked with judges, warriors, and prophets as pillars of the state. The book of Numbers (22-24) contains the story of Balaam, a diviner who was known for the effectiveness of his blessings—and his curses. This story is the furthest thing from an illustration of an abomination, or even a parable illustrating the dangers of the mantic arts. Balaam was, in fact, in the good graces of God and was chosen by God to speak for Him. He was obedient, dutiful, and fair. The Bible does not condemn his actions as a diviner and God freely spoke to him, in a friendly way, and considered him as His messenger. Divination and the reading of omens are commonly used in the Bible when it comes to deciding all sorts of issues. Most that were recorded had to do with the safety of king or state. God used omens to signal Gideon’s victory over the Midianites. If the fleece of the sheep was wet and the ground was dry it was a sign of ensuing success (Judges 6:36-40). The prophet Elisha directed King Joash to throw two arrows through the window in order to find out whether the king would be victorious or not (2 Kings 13:14-19). There is nothing in the Bible disapproving of the reading of signs sent from God. The story of the Moses is a classic example of a mystical experience in the Bible. Moses repeatedly ascended Mt. Sinai to communicate directly with God. Not only did he listen to God’s instructions, he also was able to ask questions in order to confirm the divine commands. Moses also used the Israelite’s Urim method of divination described below. The Israelites had a sacred divination system, known as Urim and Thummim, given to them by Jahweh (Esther 3: 21-28). Several verses of the Old Testament that were not edited out mention the use of this sacred tool. The exact composition of the Urim and Thummim is not certain, but most scholars believe there were two sacred stone dice that were stored in a pouch inside the high priest’s “breastplate of judgment,” which he wore whenever seeking divine guidance with regard to important issues or strategic decisions of state. However it worked (and we do not know exactly), the Bible makes it clear that God himself granted the people this divination system, and that He controlled the answers it produced. The great prophet Moses used the Urim and Thummim. Joshua was named as his successor using this divination system (Numbers 27:21). After Joshua died, the Israelites used it to determine who would continue to lead them into victory over the Canaanites. (Judges 1:1) When David was considering whether or not to pursue the marauding Amalekites, the divination tool confirmed for him that it was advisable to do so (1 Samuel 30: 7-8). There are many more examples of the divinatory use of the Urim and Thummim, which can be easily looked up in any Bible concordance. In most cases, God explicitly tells them to use it to divine His will. Since there are so many instances in the Bible in which God provides answers to his followers through divination, we ask ourselves how it can be that divination has come to be portrayed as evil by fundamentalist religions and sects. In the first century of the common era, as he was defining orthodox Christian beliefs, St. Paul labeled the ability to decipher the mind of God as “the Gift of Prophecy”—one of the Holy Spirit’s gifts to true believers. It was a form of channeling. Nowadays, thanks to universal access to authentic divination tools, everyone—Christian and non-Christian alike—who approaches the process with sincerity can go direct, without being expected to channel (or speak in tongues, for that matter). When it comes to communicating with the divine, we are truly the chosen people. In ancient times, only the high priest had the power of direct access. Luckily, all spiritually inclined people alive today have access to better divination systems. We are now able to go direct on our own, bypassing religious and political hierarchies altogether. Based on a fair and balanced look at the biblical record, it is safe to conclude that God intended us to use divination systems to better interpret the divine plan.